Corrosion is the progressive destruction of components by a chemical reaction with their surroundings. Since most industrial parts that suffer from Corrosion are metal, oxidation is the most common. Rusting produces oxides or salts of the parent material and once started, can be difficult to contain. 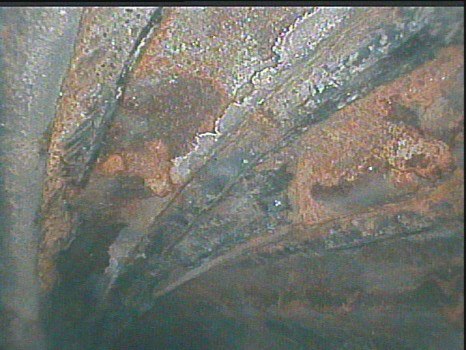 High-temperature Corrosion is deterioration of a material as a result of prolonged exposures to high temperatures. There are many different types of prevention techniques, but most involve chemical coatings. Video Borescopes and other Inspection Cameras are a tremendous asset for maintenance technicians in their fight against Corrosion. Being able to detect the early signs of damage quickly and efficiently means that Shutdown Maintenance and Outages are kept to a minimum.